118 min [ Boldly go. ] 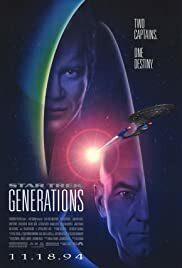 - Captain Jean-Luc Picard and the crew of the Enterprise-D find themselves at odds with the renegade scientist Soran who is destroying entire star systems. Only one man can help Picard stop Soran's scheme...and he's been dead for seventy-eight years.